This is the third edition of the book which was first published in 2006 and issued as a revised version in 2010 under the title Vinodiversity the Book. 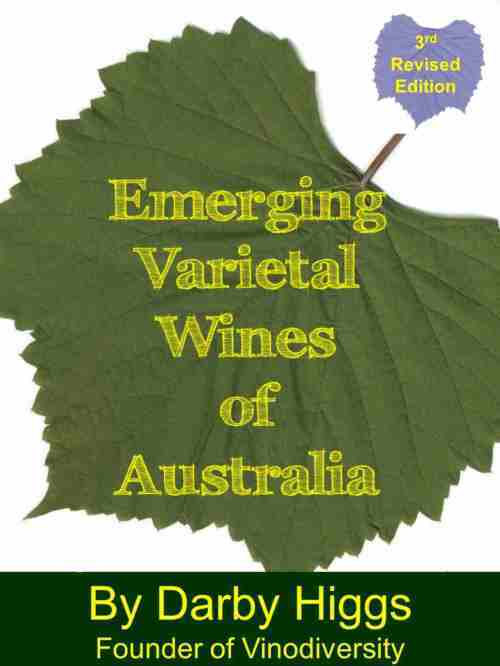 In this third edition many new varieties have been added as well as revised descriptions of the variety and updated lists of Australian producers. Emerging Varietal Wines of Australia describes wines made from about 140 different grape varieties. Most Australian wines are made from a handful of traditional varieties, but over the past few years innovative winemakers have extended the range of wines available by bringing in new alternative grape varieties or by reviving old favourites which had fallen out favour. Each variety is represented by an entry including synonyms, notes about the origin and distribution of the variety. A measure of the worldwide popularity of each variety is given a global ranking. After a description the role of the variety in Australia a list of Australian producers is presented. An index of about 1800 wineries producing alternative varieties completes the book. Emerging Varietal Wines of Australia contains valuable information for grape growers, wine makers and marketers as well as the more adventurous consumer.